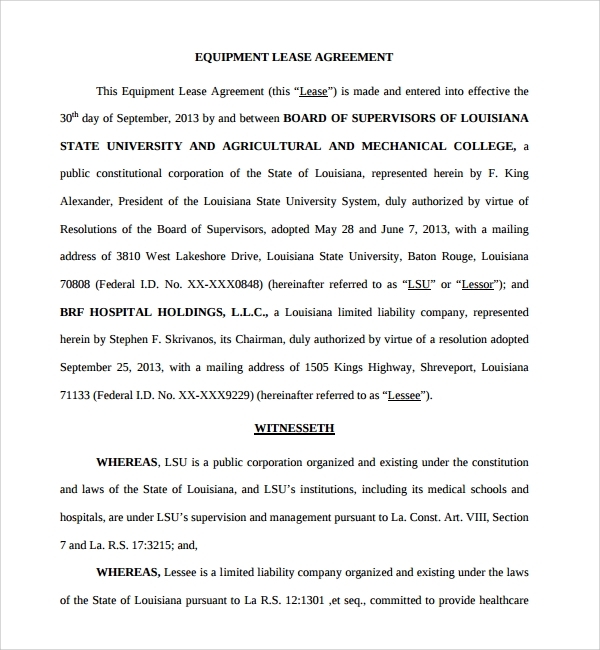 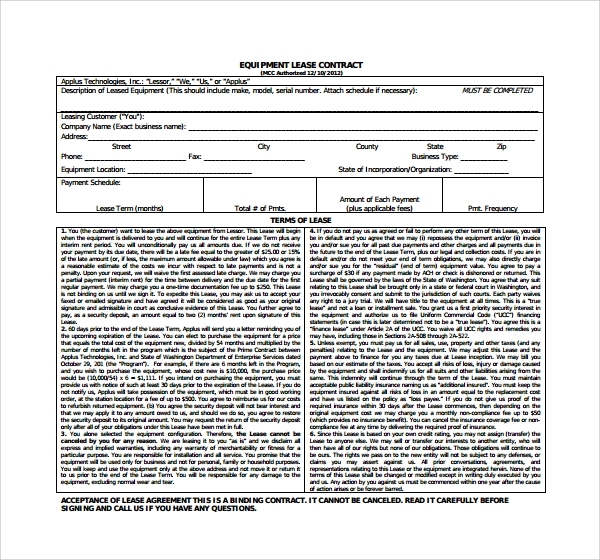 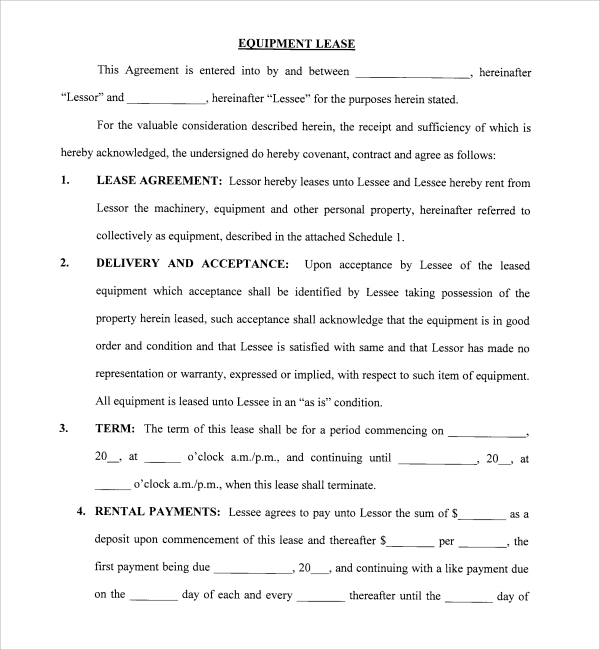 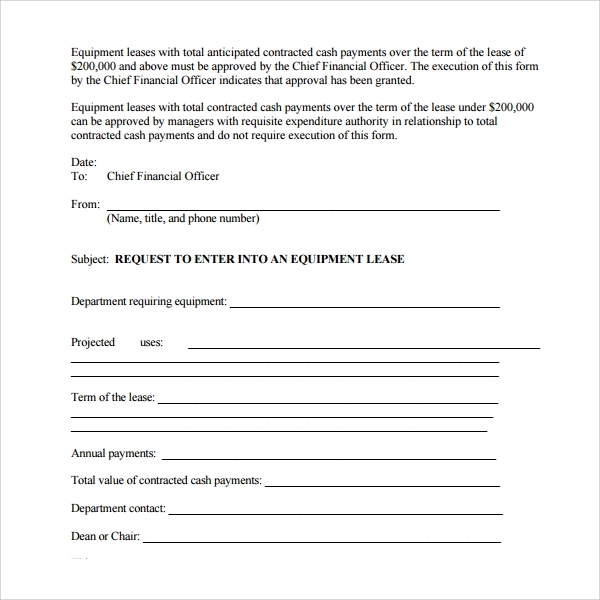 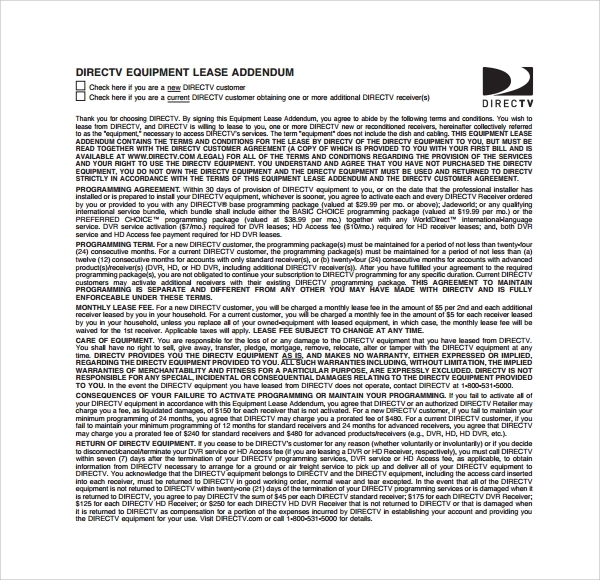 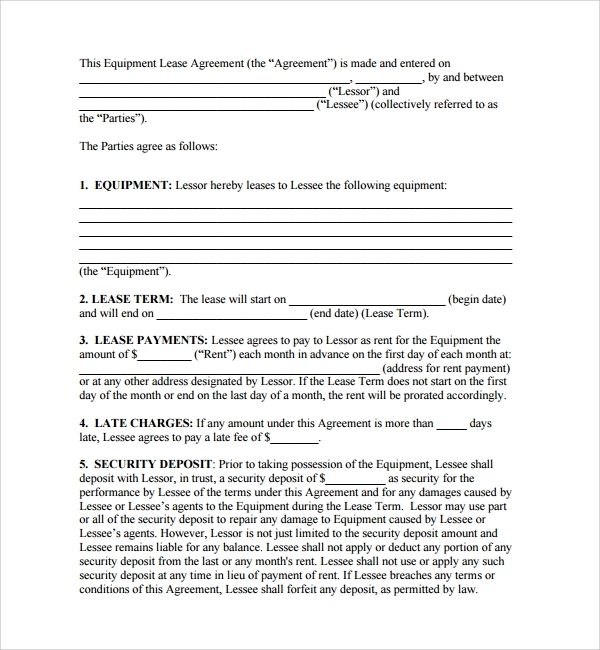 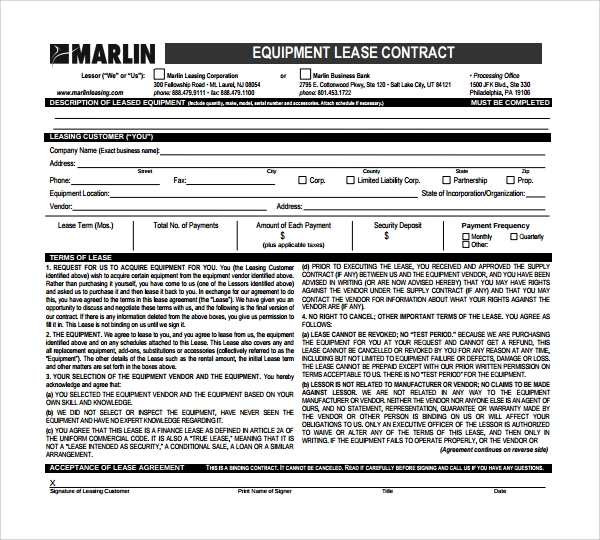 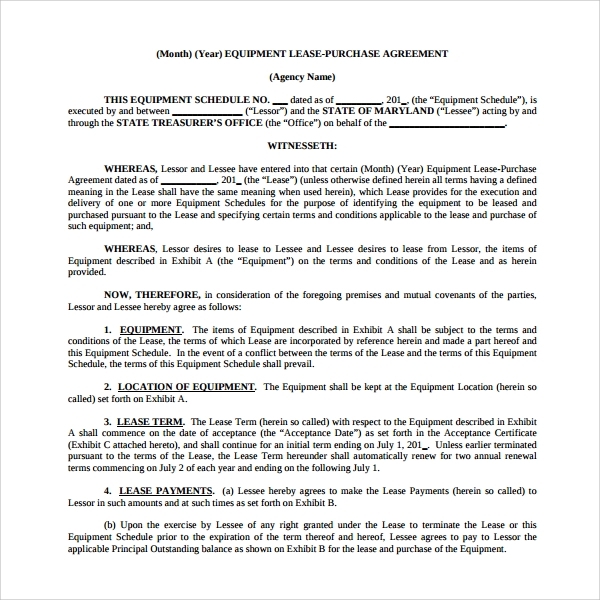 If you are running an equipment lease business, an Equipment Lease Form template will help you write a sample lease agreement to use for the business. 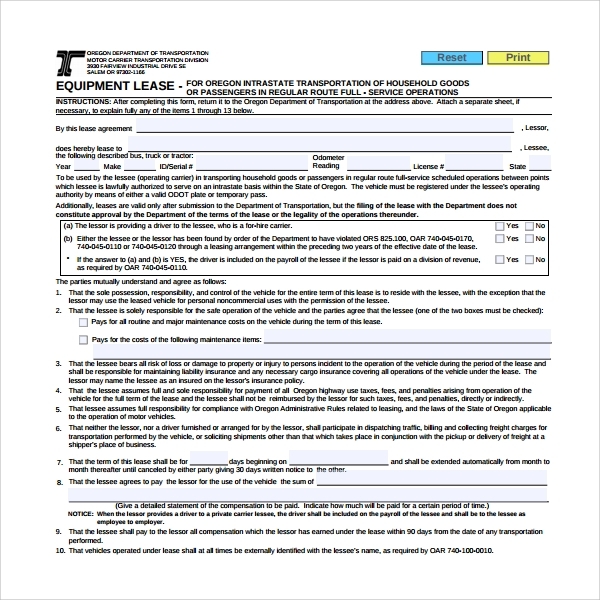 Every time a customer comes to rent equipment from your business, for a given period, provide them with the form and make sure they sign and agree to the terms and conditions of service before you allow them to have any equipment from your business. 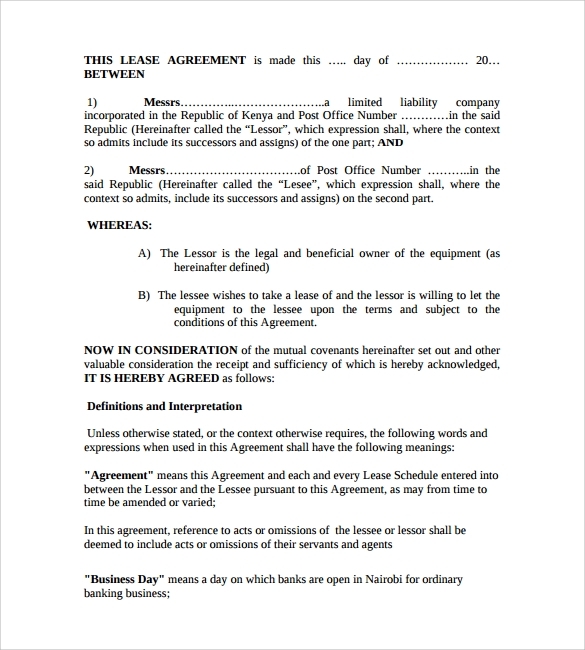 The Car Lease Form must have terms and conditions of service, and remember to have the signature of the person borrowing the car. 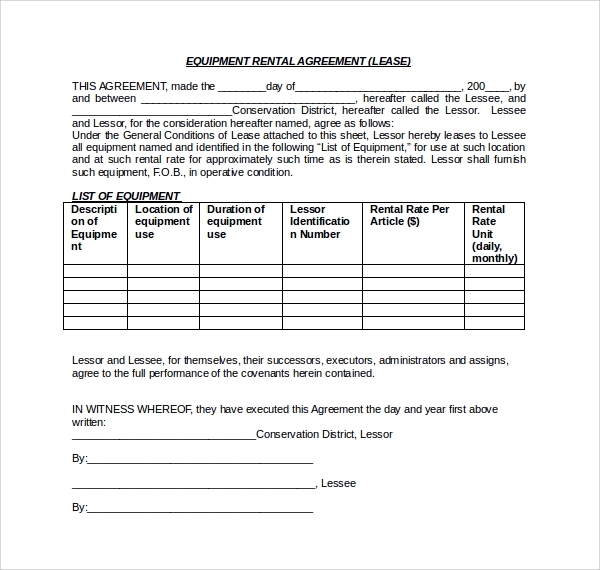 This is of great significance, particularly when inconveniences arise.